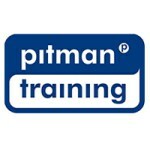 Good project management skills are highly valued within a business so with the Pitman Training Project Management qualification, your skills will be highly in demand. The course takes you through the full life cycle of a project in terms of defining what it is, planning, timescales and budget, before implementing and completing and evaluating the project . Your new found project management skills will be ideal when working within an IT department or related industry.